The YES Fund was named in 1955, but the tzedakah roots of WRJ that initially were centered around rabbinic scholarships date to 1913, the same year the organization was founded. Over the past century, the YES Fund has raised millions of dollars through a combination of dedicated campaigns and product sales for projects including: building the dormitory at Hebrew Union College-Jewish Institute of Religion (HUC-JIR) in Cincinnati and the URJ Headquarters in New York, establishing the Jewish Braille Institute (JBI International), founding the North American Federation of Temple Youth (NFTY), and helping to create the first URJ camp. 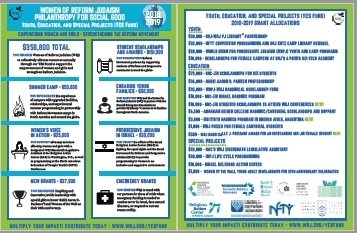 The Youth, Education, and Special Projects (YES) Fund represents the collective financial efforts of individual donors and WRJ-affiliated sisterhoods to strengthen the Reform Movement and ensure the future of Reform Judaism. YES Fund grants provide Reform Jewish institutions and individuals worldwide with the tools necessary for religious, social, and educational growth and enhance Jewish life by supporting clergy, cultivating women’s leadership, advocating for social justice, providing programming, and offering support. With your support, the YES Fund will continue to grow our Reform institutions, fund clergy education, and inspire our youth. Inspired by the past and committed to the future, your gift today builds on our 100-year legacy and keeps Reform Judaism vibrant. Support the YES Fund TODAY to help meet immediate needs by donating online. Endow the YES Fund into the FUTURE to ensure it endures l’dor vador (from generation to generation) by starting a Lifeline. 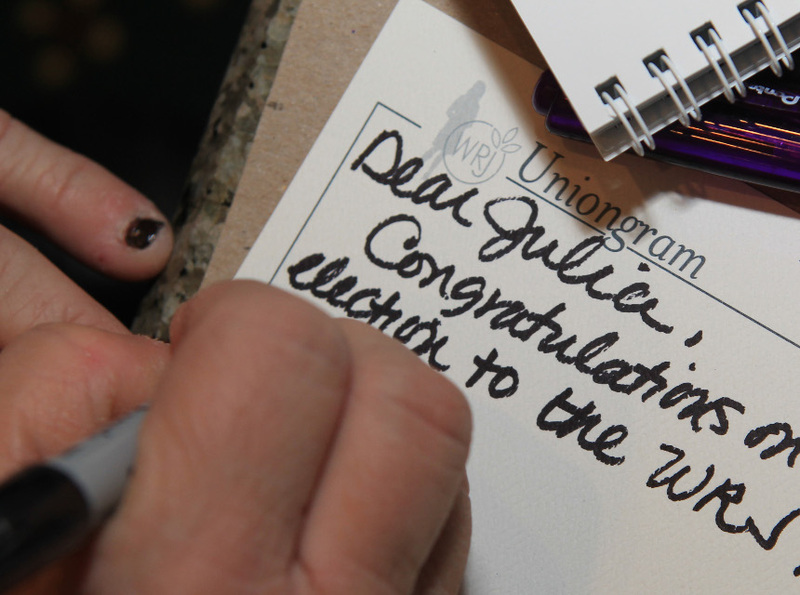 Shop WRJ to order Uniongrams, Note Cards, and other products that directly benefit the YES Fund.